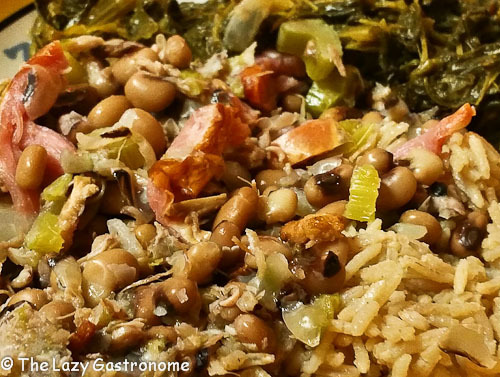 In the south, it’s customary to serve hoppin’ john for dinner on New Year’s Day. The saying is, “Eat poor that day, eat rich the rest of the year. Peas for pennies, greens for dollars, and cornbread for gold”. These foods were what the blue-collar, hardworking families usually had on hand. 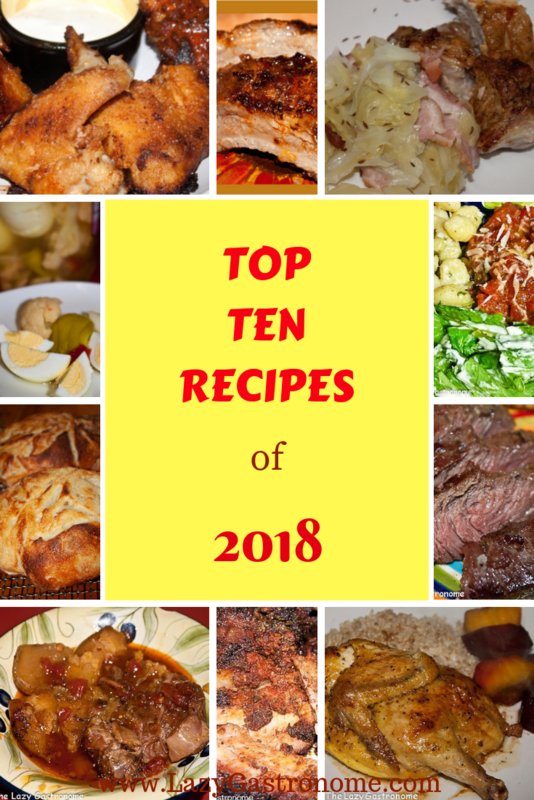 You have the perfect meal of luck for the new year. I usually start the beans, and then move onto the greens, moving back and forth until they are both simmering. Bring the beans and the broth to a hard boil. Reduce heat to medium and add the remaining ingredients. Cook on medium for about 30 minutes, then reduce to low and simmer for about 2 hours, until the beans are tender. Remove the ham hocks and allow to cool enough to pull the meat off. Replace the meat to the pot and heat again. Drain the liquid. Gently brown the salt pork on low for about 5-10 minutes. Wash and chop the greens. Add them to the pot with enough water to cover them. Bring it all to a boil. Cover and simmer for about 2 hours. This entry was posted in Beans, pork and tagged black eyed peas, new years, rice, southern, traditional. Bookmark the permalink. I’ve heard of hoppin’ John, but have never made it. I need to give it a try! Its tasty!! Thanks for stopping by! Good food and good luck all in one bite! I love hoppin’ john, my mom made it when we first moved to NC more than 20 years ago. My boys don’t care for it but I still love to make it on a new Year’s Day. This recipe looks much more authentic. Thanks for sharing with Small Victories Sunday Linkup. Pinned to our linkup board. Thanks for pinning!! And thanks for stopping by! I’ve had hoppin john at work, but I think we’ll be trying it at home this year. Sounds good with that big ham I bought and my hubby loves greens. Yours sound perfect. 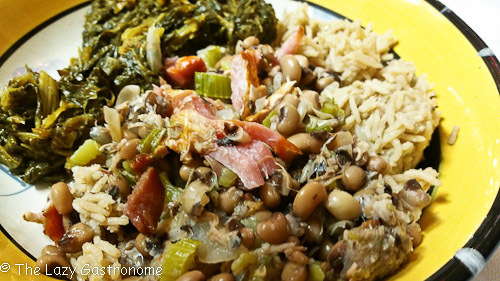 I often make Hoppin’ John for New Years too, it’s such great comfort food, this sounds delicious! Thanks for sharing at What’d You Do This Weekend? Wishing you and your family a very Happy New Year! This looks TASTY! 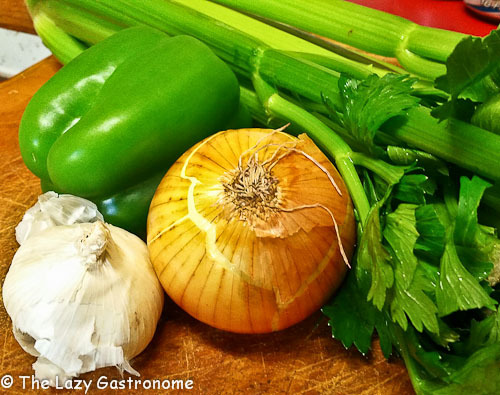 Thank you for linking up to Creative K Kids’ Tasty Tuesdays. I have pinned your posts to our Tasty Tuesdays Pinterest Board! I hope you can come back and party with us again tomorrow!